One could write a book on the history of St. Nicholas’s Church but I, due to the presence of the grave of one of my architectural heroes, am mainly interested in its surrounding graveyard. . The Grade II Listed church itself is a very short walk away from the centre of Brighton on the east side of Dyke Road, just south of Church Street. When it was originally built in the fourteenth century, it was in a secluded location, overlooking the old town. St. Nicholas of Myra is the patron saint of fishermen which explains how St. Nicholas’s, which is the ancient parish church of Brighton, got its name. It was only when I discovered that Amon Wilds was buried in the churchyard that I began investigating the church and its surroundings. Many people are interested in Brighton’s architecture but the acid test for me to distinguish between those who really are and those who aren’t is whether or not they have heard of Amon Wilds! With architect Charles Augustin Busby, Wilds built both the Kemp Town and Brunswick Town estates. 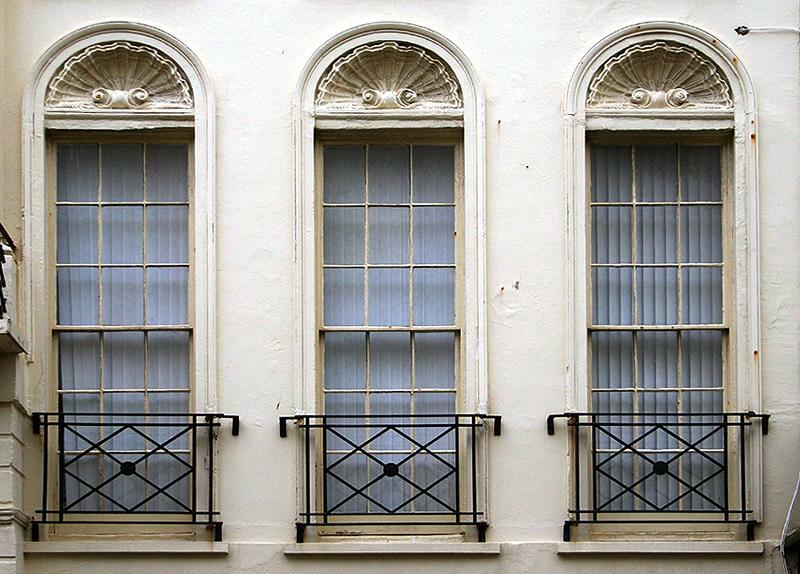 His son, Amon Henry Wilds, was responsible for Montpelier Crescent, Hanover Crescent, Park Crescent, Oriental Place, the Royal Albion Hotel and many more of Brighton’s greatest buildings. St. Nicholas’s churchyard was extended to the east in 1818. A second extension, to the north of Church Street, was then added in 1824. Wilds Sr died in 1833 aged 71 and is buried in the eastern extension. His distinctive tomb is thought to have been designed by Wilds Jr. 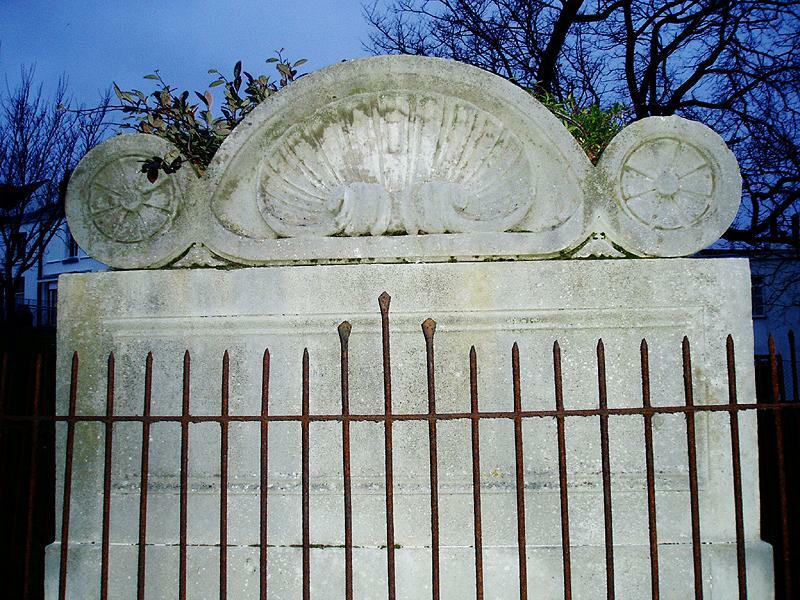 The tomb’s prominent decorative shell motifs are very much in the style of those found on many of Wilds Jr’s best buildings. A third extension, laid out and entered through an archway by Wilds Jr, was opened in 1841. Other famous locals who have been buried in the churchyard include Martha Gunn (‘queen’ of the Brighton dippers), Captain Nicholas Tettersell (rescuer of King Charles II) and Sake Dene Mahomed (‘Shampooing Surgeon’ to King George IV and King William IV). One of the great mysteries of local history is the location of Charles Augustin Busby’s body. He was buried in St. Andrew’s (Old Church) in Hove in 1834 but when Church Road was subsequently widened his headstone and body should have been moved. Today, their location remains a mystery. Some believe that Brighton & Hove’s most prolific architect is now under a road.